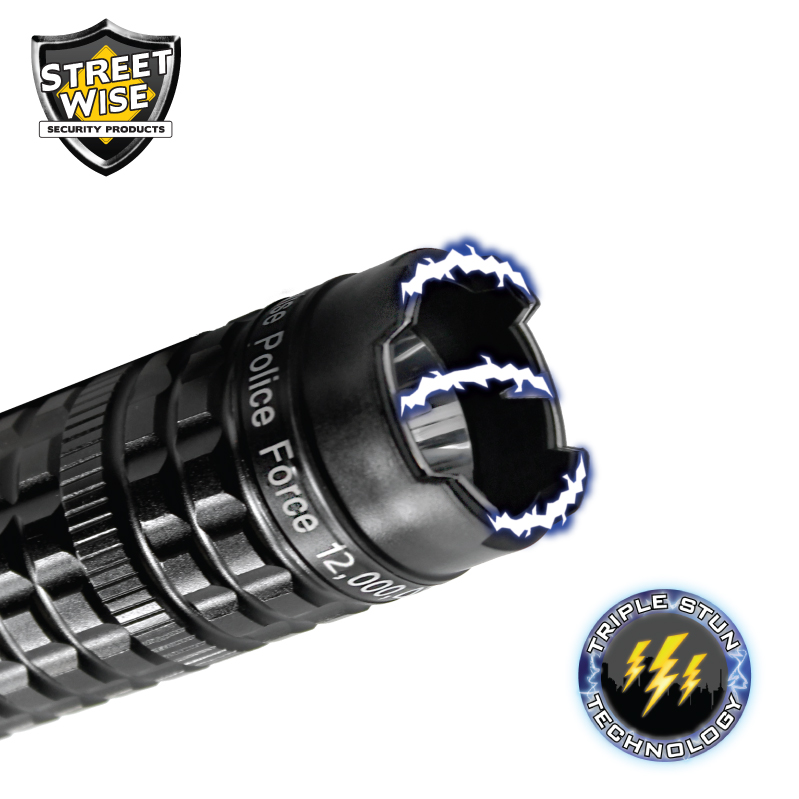 The Police Force 12,000,000 Metal Tactical Stun Baton Flashlight is our most powerful stun baton. At 13.5 inches, it is possibly the best tactical defense product in the market today. 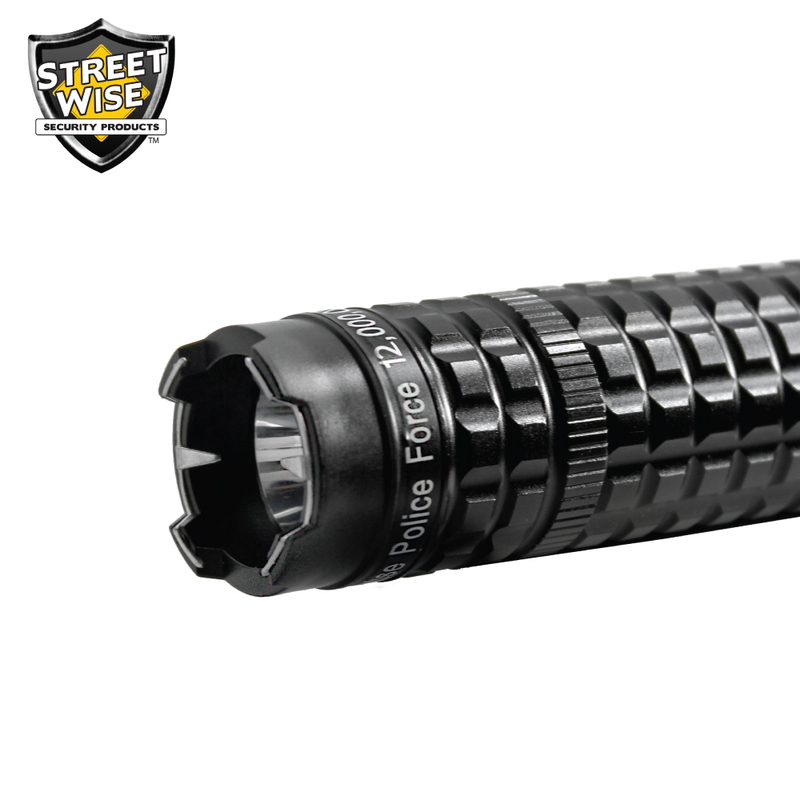 The Police Force 12,000,000 Metal Tactical Stun Baton Flashlight by Streetwise Security Products might just be the best tactical defense tool on the market today. 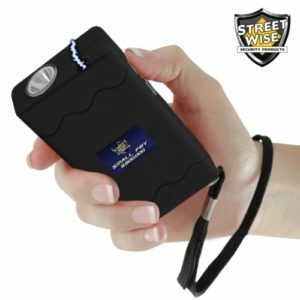 It is powered by 2 removable, rechargeable lithium batteries and incorporates a military grade aluminum baton, ultra-bright tactical flashlight, and powerful stun so you will be prepared for any situation you may face. The problem with many multi-function devices is that they really don’t do any single function well. In sharp contrast, this model stands out in the crowded stun baton market by being exceptional in most areas needed for defending yourself. 1. Identify the threat: An attacker will use the cover of darkness to sneak up on their victims and to hide their identity. He’ll also look for the most vulnerable victim. This powerful light beam shined in the direction of a possible attacker is often enough to persuade him to go in search of an easier target. 2. Disorient the Attacker: Shining the ultra-bright light directly into someone’s eyes will cause several seconds of disorientation and impaired vision. 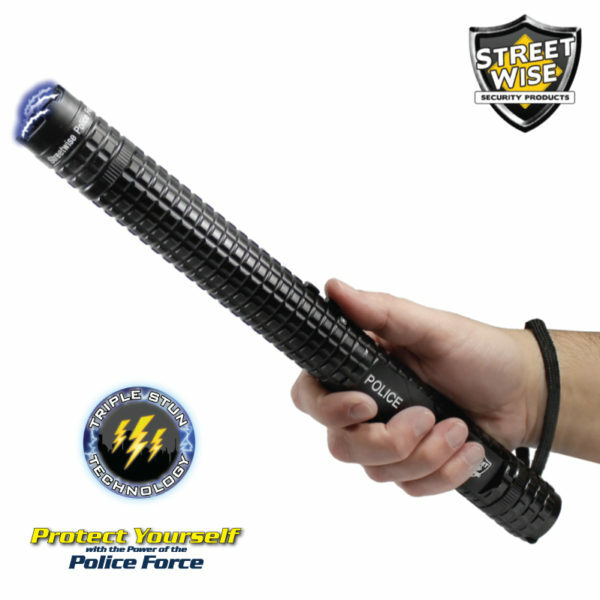 The Police Force 12,000,000 Metal Tactical Stun Baton Flashlight boasts a super bright light beam with Self Defense Strobe that can disorient your attacker and give you time to flee. 3. Strike or Stun! 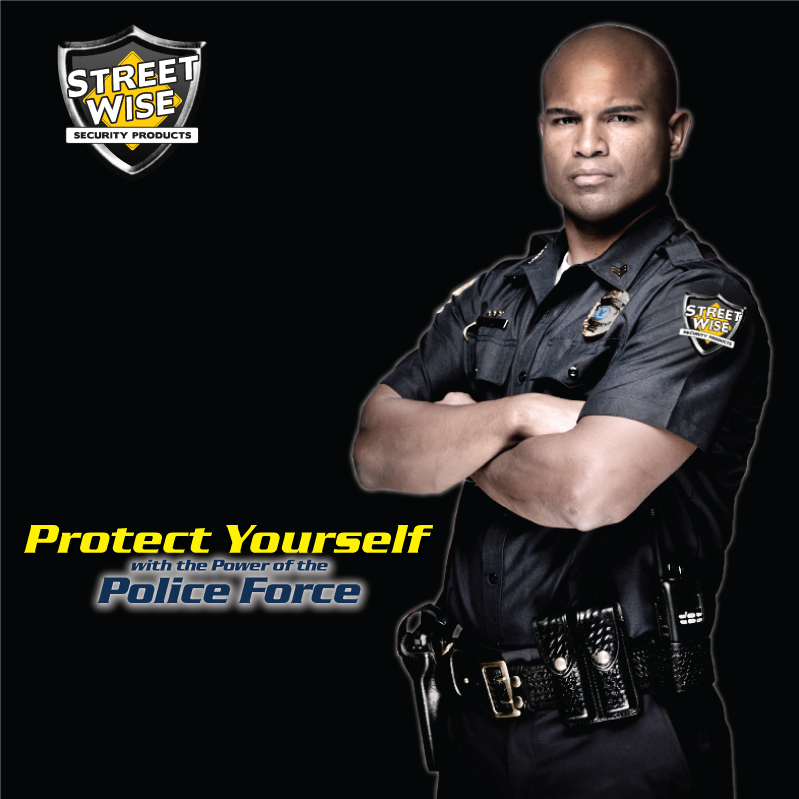 If these first two are not enough to deter your attacker, a blow from the metal baton or a shock from the powerful stun gun certainly will. 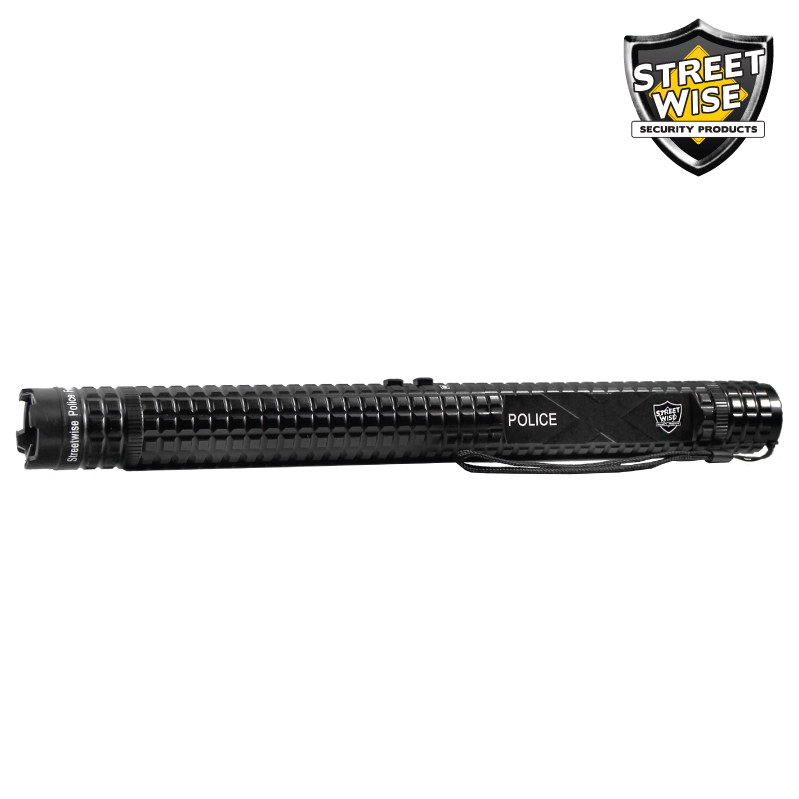 Engineered to meet the demands of Police, Military, and Security Professionals worldwide, t The Police Force 12,000,000 Metal Tactical Stun Baton Flashlight is also available to civilians. The military grade aluminum alloy exterior allows it not only to be used as a self-defense tool for striking an assailant but it can also withstand rugged use and extreme conditions often encountered by the military and law enforcement officers. 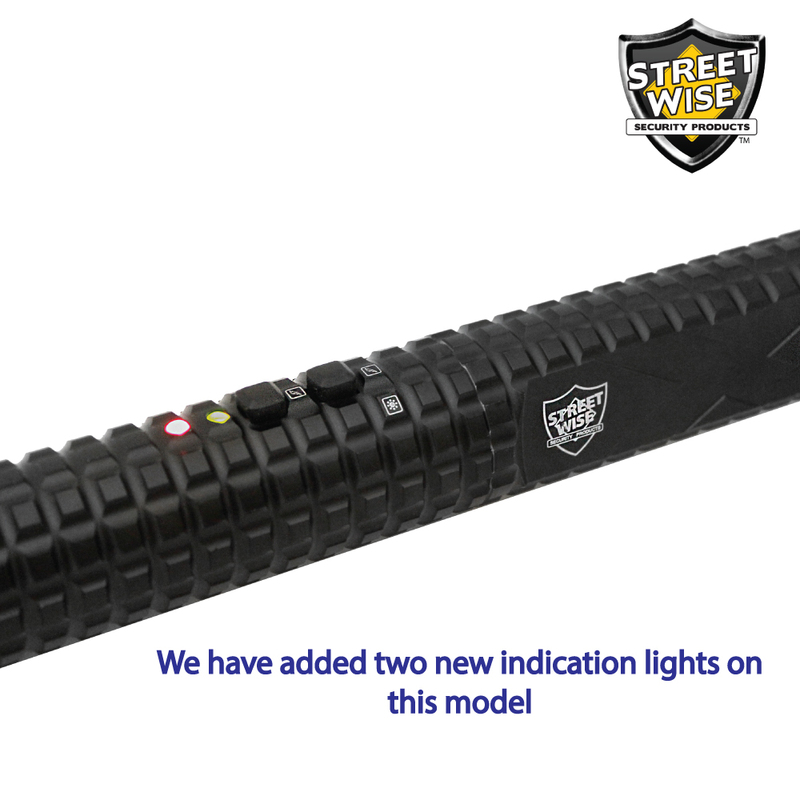 This is the strongest light we have ever seen built in to a stun baton. 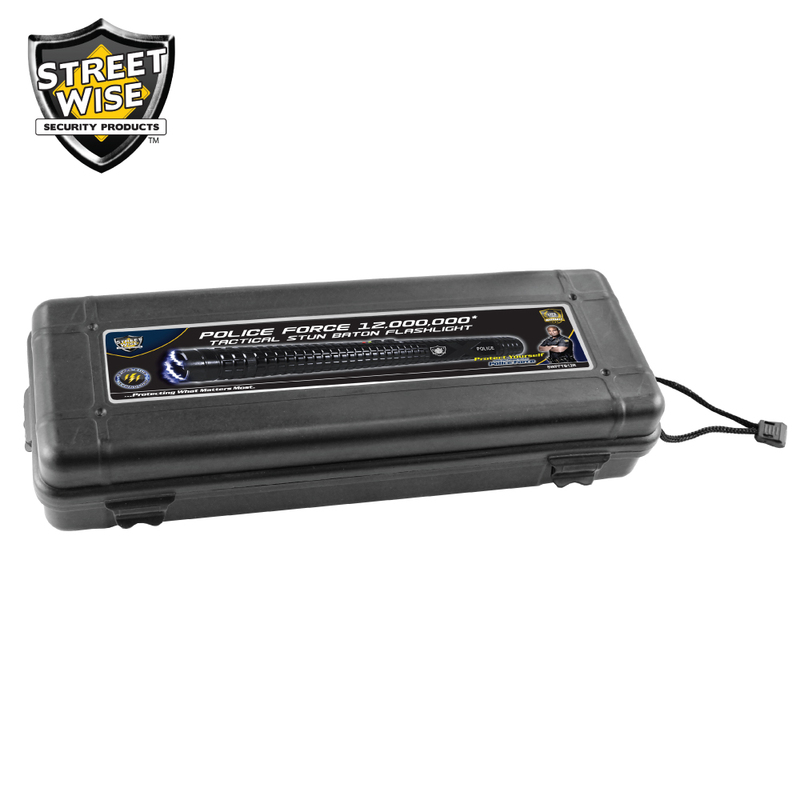 It will not only safety illuminate the entire area at night but can also be used to protect you. 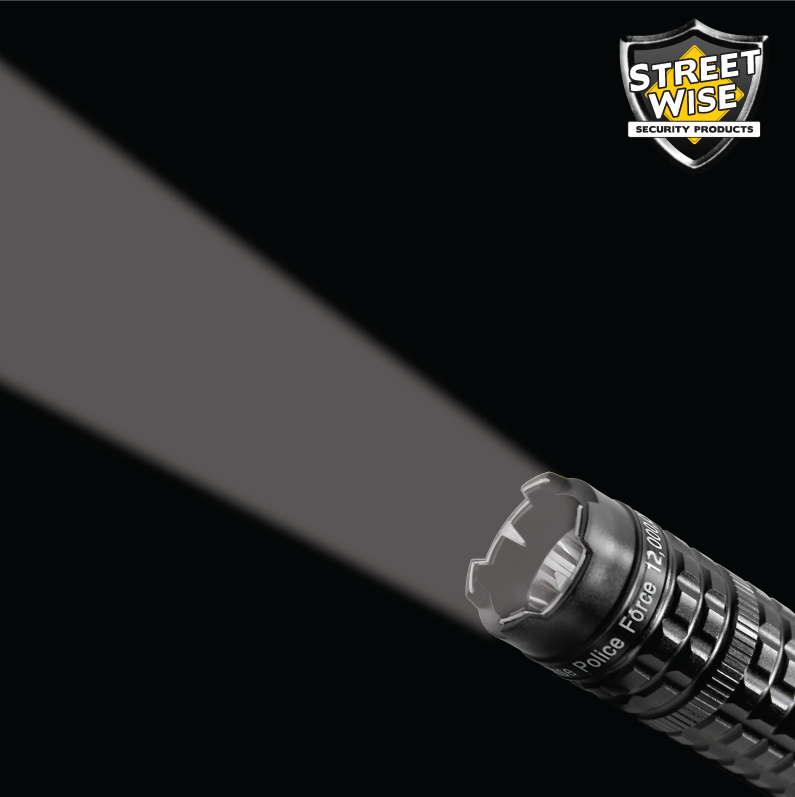 When shined in the eyes of an attacker, the ultra-bright 150 lumen light can have a temporary blinding effect, making it easy for you to immobilize them with the stun gun or strike with the baton. There are three light strengths (maximum, medium, and low) and two light patterns. When the situation does not require maximum light strength, the other two settings can be used to extend battery life. 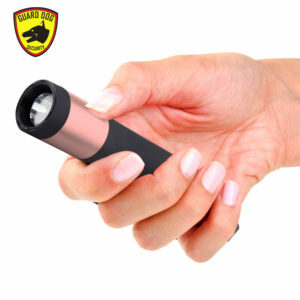 The strobe light mode can momentarily blind an attacker and the SOS rescue light pattern can signal for help in an emergency. 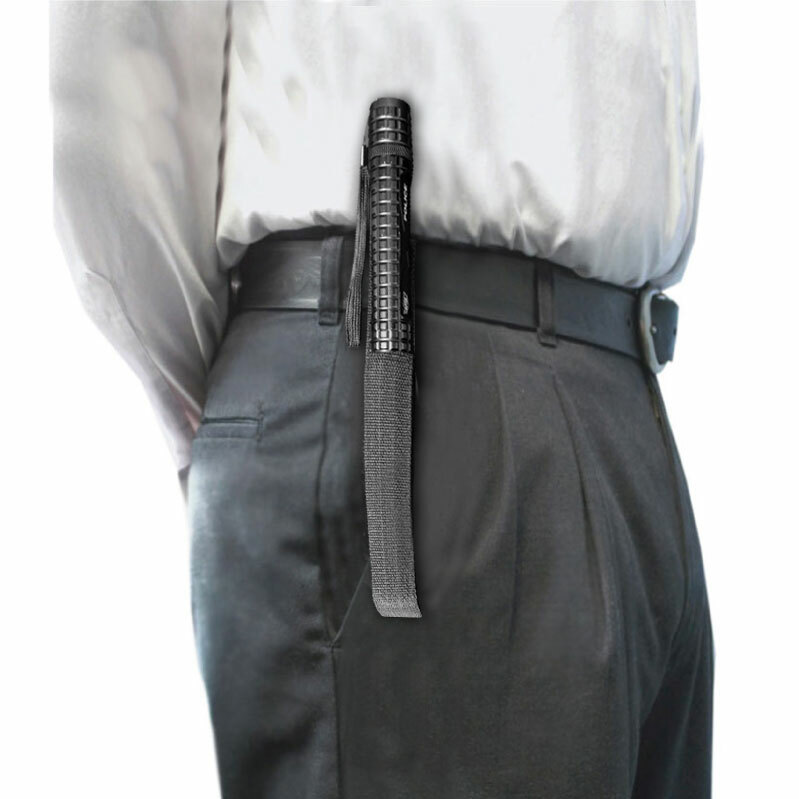 At 13.5 inches long, this tactical baton is long enough to keep you a safe distance away from your attacker but short enough to easily carry with you in the included holster. 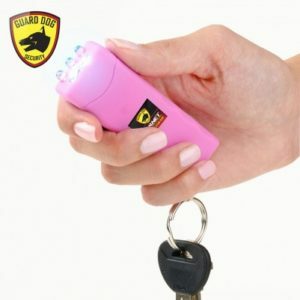 Economically & Environmentally Friendly: The stun gun and flashlight are fully rechargeable and the light bulb has a life of up to 100,000 hours. A set of rechargeable batteries is included; however, if you don’t have time to recharge the battery, you can purchase additional batteries to carry with you so you will never be without power. To prevent accidental discharge, three levels of safety have been built in. The push button tail switch must be pushed into the on setting, the function-select button must be set on stun, and the stun activation button must be pressed. To make it easier to carry, both a heavy-duty holster with belt loop and a wrist strap are included. It seems to work. I don’t know how well, and hopefully, I never will. delivery! I use my 10″ stun baton to walk my dogs at night. Haven’t had to use it yet but I love the security it gives me. Haven’t had to use it yet other than test fired it and was quite suprised by how loud the popping/cracking sound of the electrical arc is. The sound alone is probably enough to deter some assailants, if not the voltage will! I have not needed to use this Non-Leathal force yet. But I sure feel better knowing that I don’t have to resort to using the ol’ Glock right out of the gate. I am a corrections officer and have had many encounters with inmates outside of work. 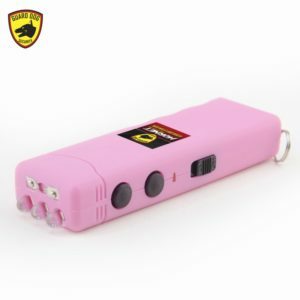 I feel very safe with this stun gun, since I have kids I don’t feel comfortable with a loaded gun on my person. 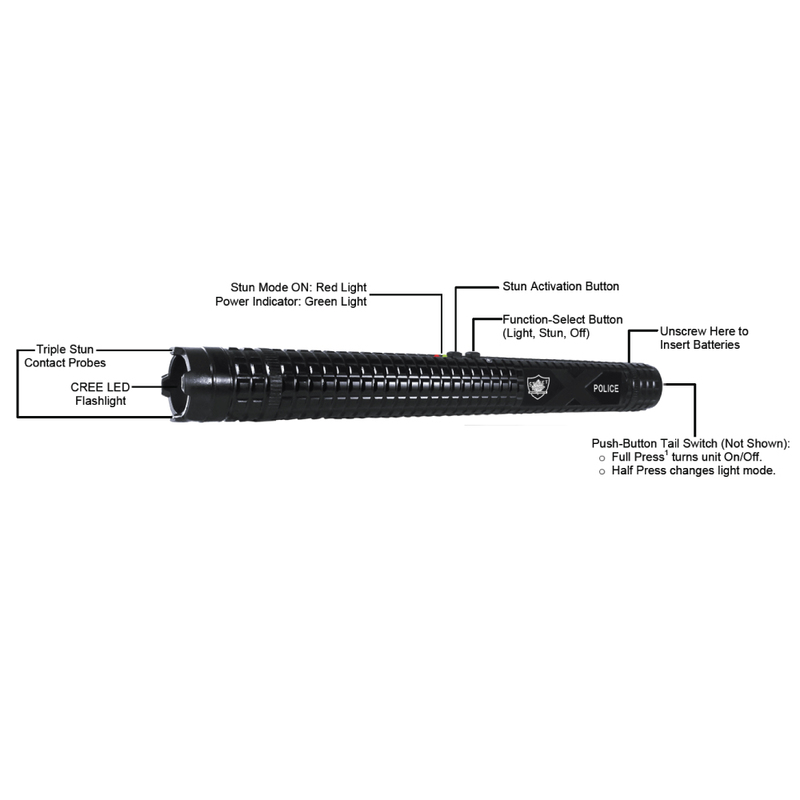 This Stun baton represents a significant improvement over the “bar guns”. 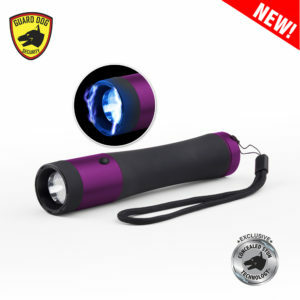 The size and shape are just right….it is long enough to use as a club and compact enough to carry.The fact that it is rechargeable is a big plus.The built-in flashlight is handy too! This made me jump when I just fired it in the air!! I hope I never need to use it. 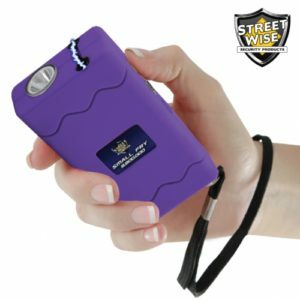 I have ordered two stun guns; one 18 inch and one 10 inch The 10 inch stun gun feels good in your hand because it has a good weight to it. I also like the flashlight. I have been using the flashlight to check the back of my house at night. I recommend this one. It has a lot of power and hangs nicely on your arm with the strap. I purchased this for my daughter to carry while walking her dog. Today at her suggestion I ordred another one for myself. Luckily I haven’t had to use it yet but it’s good to know I have some protection just in case. This is a little bulky if you’re looking for ultra compact. I like the size however because it gets me ten more inches away from a threat. It does fit inside my larger purses or glove box. You have a great product. I would like to see a better holster. The baton can still slide around in the holster and at the same time get hung up when trying to draw it out smoothly. Any chance of a holster that hangs lower. The draw length makes it difficult when worn on the belt… unless you are six feet tall. got it for my mom. she loves it! small enough to carry as I walk my dog.easy to use and just the sight of it let others with dogs off leash gain control of their pet(s). I CHARGED THE UNIT WHEN I GOT IT,TESTED TO MAKE SURE IT WORKED.DID EVERYTHING ACCORDING TO DIRECTIONS.WENT TO TEST IT AFTER 2 WEEKS OF HAVING IT,AND IT DID NOTHING.I SENT IT BACK FOR A FULL REFUND.NO I DID NOT BUY THE EXTENDED WARRENTY.IF THE FIRST ONE DIED ON ME,THAT’S NOT A GOOD SIGN. My daughter and a friend were driving home from Fl for Christmas break. The snow storm forced them to spend the night in a hotel in Va. that had lost all power. Two young girls, completely dark stairwells and rooms. If she had not had her baton with flashlight with her I think we might all have had nervous breakdowns!I had originally purchased this for her to carry while walking her dog. I carry it with me when I deliver food at my night job.I love its sound, people know quickly that its a tazer.I dont like how it doesnt conduct through certain clothes like a hoody for example. Luckly I have not had to use it yet but it scared the stuffing out of all of use when we turned it on. So I think it will work just fine! I got the stun baton for my girlfriend because she lives in an area where there’s a lot of crime and especially since she will start working nights soon. I knew something like this would make her feel more confident. I had a friend test it out on me and it works. I’m pretty sure a 5 second stun would immobilize anyone. I highly recommend this product. GOT THIS AFTER MY DOG LOST AN EAR AND I RECIEVED SEVERE INJURIES IN AN UGLY DOG ATTACK.SO FAR HAVE ONLY HAD TO USE THE TONE TO WARN DOGS AWAY BUT I FEEL MUCH SAFER WITH IT. TWO OF THE DOG OWNERS IN THE NEIGHBORHOODS THAT I WALK HAVE TALKED TO ME ABOUT IT AND ORDERED FROM YOU – I’M A WALKING ADVERTISEMENT! I’ve had only a few weeks, and it is not working any longer. Very disappointing, as it was very expensie. The unit is exactly as advertised. I with other friends have tested this product and it is very effective. Even a short burst to the buttocks was able to bring one person to their knees. My family all carry one. Before we all carried guns but in real life you could not pull a gun in close combat. The criminal will be close and fast. when a gun wont come fast enough and if it does its dangerous. This product solves all that. I like that the product is easy to use and also convenient to carry. I carry it in my purse with me and I live in a bad neighborhood, but with this thing I’m not scared to go outside at night anymore. 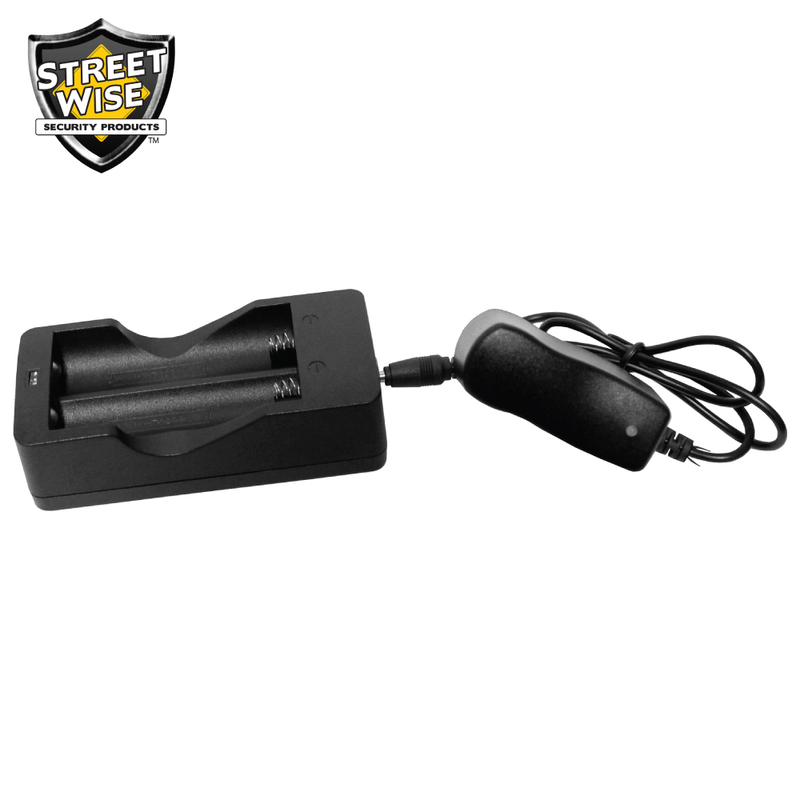 This is a great product, I feel much more secure walking around with it, especially at night. I no longer have to feel afraid of being attacked by somebody, because I know I can defend myself with it. I would recommend this product to anybody that wants more peace of mind when they walk around alone.